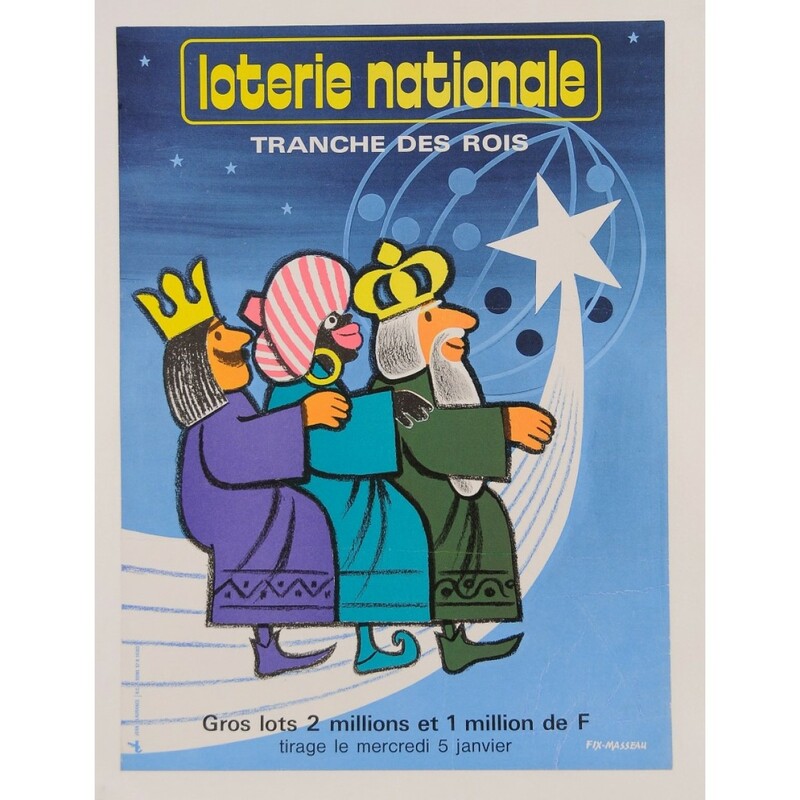 Poster commissioned by the Loterie Nationale (French national lottery) by Pierre Fix–Masseau (1905–1994), the noted poster designer. The Loterie Nationale was created in France in May 1933. Its dividends were slated for a retirement fund in favor of the war veterans. Beginning in 1952 the Loterie Nationale faced a tough competition from the PMU (horse races). 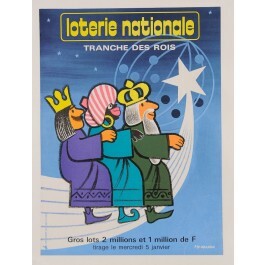 The last drawing of the Loterie Nationale took place in December 1990, when it is was replaced by the more and more popular Loto. As the caption says ”Light as a butterfly with a ticket from the Loterie nationale”.